Whether you live in Seattle or are simply visiting, the Emerald City is the perfect starting point for epic road trips all around the Pacific Northwest and beyond. Everything from spectacular national parks to quaint beach towns and bustling cities are within easy reach of the city, often via lovely scenic drives. Here are the 20 best road trips from Seattle, ranging from quick drives that take just a few hours to long-haul adventures that can last a week or more. If you're in Seattle and you have a day to spare, consider taking a quick road trip to the Pacific Northwest's second city: Portland, Oregon. 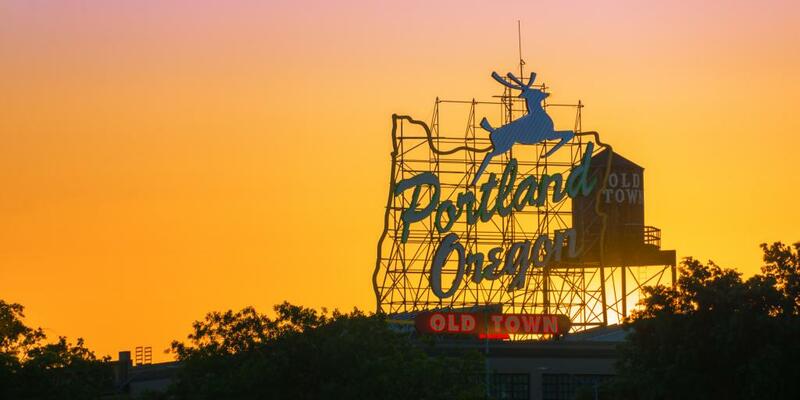 Just under three hours south of Seattle, Portland is known for its artsy population, culinary prowess and quirky charm - three fantastic reasons to take a road trip here. The city's unofficial slogan is 'Keep Portland weird,' so there's obviously no shortage of cool and offbeat activities to do here. While you're visiting, make sure you hit up Powell's City of Books, the largest independent bookstore in the world. And children will love visiting the Oregon Zoo - the oldest zoo west of the Mississippi River - where they can see lions, penguins, orangutans and elephants. When hunger pangs set in, grab a bite to eat from one of the dozens of food trucks that populate the streets of Portland, then wash it down with a craft beer from one of the city's many local breweries. Spending a day in Olympic National Park is a little bit like visiting multiple countries all at once. With its incredible variety of scenery, landscapes, wildlife, and even climate, it's impossible to run out of things to do and see here. Amazingly, you'll find alpine mountain ranges next to pebbly beaches, as well as one of the largest temperate rain forests in the U.S.
Luckily, the park is just 2 hours by car from Seattle, making it the perfect day trip destination - as long as you leave early in the morning to make the most of your time! Whether you're into hiking, fishing, skiing, bird-watching, whale-spotting, mountain biking, star-gazing or camping, you can do it all from this very park. Bring snacks and go for a wander around the park, keeping track of how much wildlife you can see (bald eagles, black bears and mountain goats are just some of the creatures that make their home here). The unassuming coastal town of Westport sits on a peninsula overlooking Grays Harbor, just southwest of Seattle. With its quaint charm and laid-back surfing culture, it makes for a great escape from the hustle and bustle of Seattle. Plus, it's a haven for seafood-lovers on the hunt for the freshest catch. Autumn is the perfect time to take a day trip to Westport. The weather may be a bit nippy, but it's peak season for Dungeness crab, a local culinary speciality. And it's not only crab on the menus here; in fact, more than 150 million pounds of seafood are harvested here every single year including cod and razor clams. For some family-friendly fun, bring a clam shovel and bucket to go razor-clamming on the beach. You'll need to get your razor-clamming license online first! Then feast on clam chowder, crab omelettes and crab sandwiches at Blue Buoy Restaurant, a casual eatery that's popular with locals and visitors alike. Another spectacular national park that's just a stone's throw from Seattle is the stunning Mt Rainier National Park. 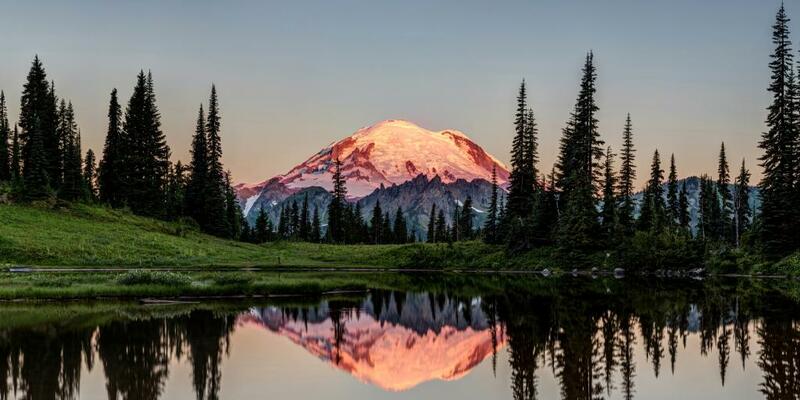 This 236,00-acre park, which is centred around the majestic Mount Rainier, is a great destination for hikers and outdoor adventurers, who are drawn to its well-marked walking trails and breathtaking fields of wildflowers. Mt Rainier National Park is divided into several regions, the most popular one being Paradise, which is open year-round. Families, couples, and solo travellers alike will love exploring the ins and outs of Mt Rainier Park. Start your day by embarking on the one-mile-long Nisqually Vista Trail, which offers awesome views of the Nisqually Glacier. When you're feeling peckish, stop off at the historic Paradise Inn for a hearty lunch with a view. Finally, go for a scenic walk to Myrtle Falls, a 72-foot-tall waterfall that cascades into a rugged gorge below. Who needs Niagara Falls when you have Snoqualmie Falls? Just a half hour outside of the city, this enormously powerful waterfall is one of the most popular attractions in the state, drawing in more than a million visitors every year. It's also famous for being featured in the opening of every Twin Peaks episode - so if you're a fan of the TV show, this attraction is a must. The roaring force of the waterfall is a truly spectacular sight to behold, producing a sound that's somehow deafening and peaceful at the same time. Make a day of it by bringing along a picnic and having lunch al fresco, feeling the spray of the falls as you eat. To get some exercise, you can leave your car at the top of the falls (parking is free) and then hike down to the bottom. Have your meal down below, then brace yourself for the uphill trek back to your car. You can also spend the afternoon exploring the many intertwining hiking trails in the area. Not only is Ellensburg home to one of the top 10 rodeos in the whole country, but the entire downtown looks and feels like an old Wild West set. Step back in time with a wander down the historic streets, which are lined with charming and elegant 19th-century buildings. The Ellensburg Rodeo, which began in 1923, currently attracts more than 600 contestants who compete for prizes of up to hundreds of thousands of dollars. Take a road trip to Ellensburg in late summer to experience this quintessentially American event. Ellensburg is also the site of Central Washington University, giving the city a vibrant, youthful feel, with plenty of cultural events and activities year-round. Plus, its scenic location in the Kittitas Valley and protected by the Cascade mountain range is primed for endless photo ops. Bet you didn't know there's a Bavarian village right in the heart of Washington state! 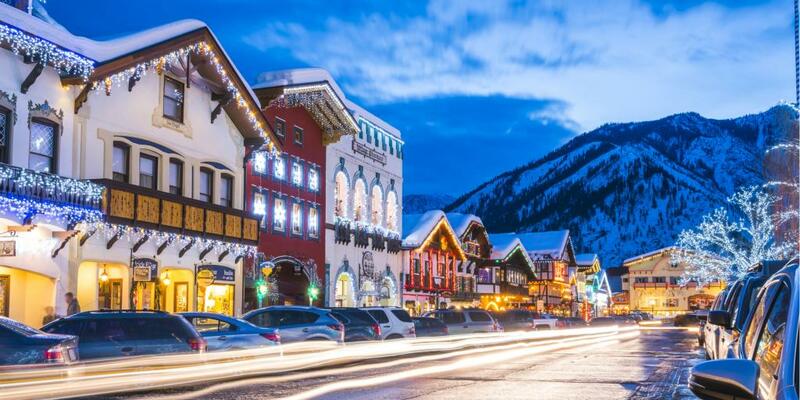 Why travel thousands of miles away to Germany when you can visit Leavenworth - nestled in 'the Alps of Washington' - which is just over 100 miles outside of Seattle? This romantic and delightfully kitschy mountain town was modelled after a traditional Bavarian village, and it has all the fixings to go with it - we're talking pretzel shops, breweries, and a lovely Bavarian Lodge. There's also a pretty epic Oktoberfest that takes place here every autumn, rivalling the main event back in Munich. Unsurprisingly, the Christmas spirit here is second to none (A&E named it the Ultimate Holiday Town USA), so winter is another great time to visit. With old school horse and carriage rides, a museum dedicated to nutcrackers, and a town filled with Tudor revival architecture, there's nowhere more festive to ring in the holiday season. To scope out some incredible wildlife and really get in touch with nature, set your Sat Nav for the San Juan Islands. This wild archipelago is made up of about 172 islands and reefs, four of which are accessible by passenger ferry from the Washington State ferry terminal in Anacortes, which is about 90 minutes by car from Seattle. The most popular destinations are San Juan Island, Orcas Island and Lopez Island, each of which has its own distinct selling points and character. As you might guess from the name, Orcas is a hot spot for whale watching - and, in particular, for Orca sightings. 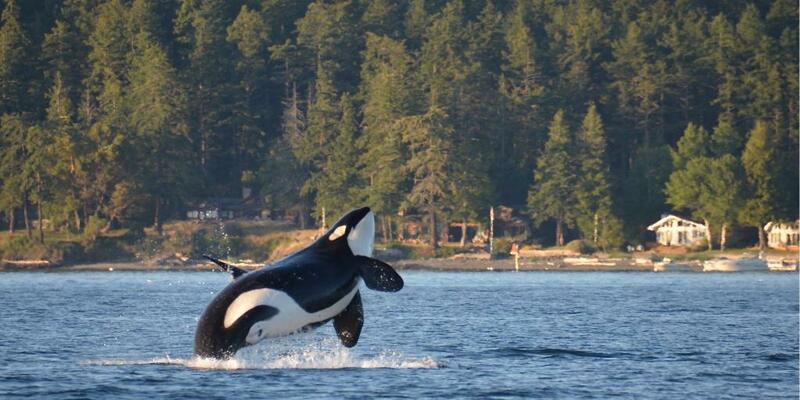 In fact, the San Juan Islands is the best place in the world to see Orca whales in their natural wild habitat. You can also catch a glimpse of humpbacks, minkes and even grey whales, as well as sea lions, porpoises, and harbor seals. If you're staying for the weekend or longer, there's a huge variety of accommodation options on the islands, from luxury hotels and spacious rental homes to sweet B&Bs and inns. The more adventurous among you can also opt to go camping or glamping in the great outdoors. How convenient that one of the largest ski resorts in all of North America is right in Seattle's backyard! Whistler, which is just north of Vancouver, is a beautiful ski town with a pedestrian-only village and an irresistible mountain culture. With all this going for it, it's no surprise that the resort attracts upwards of two million people annually, with summer visitors just as common as those in the winter. Some of the many activities you can get stuck into include skiing and snowboarding on Whistler Blackcomb in the winter, and mountain biking, zip-lining, hiking and kayaking in the warmer months. Live it up for the weekend by staying at one of the luxury resorts in Whistler like the Four Seasons or the Westin Whistler Resort & Spa. If you're a tad strapped for cash, rent an apartment or condo for a couple of nights and put some money aside to spend at one of the many world-class restaurants in town. Designated as a National Scenic Area (the largest one in America), the Columbia River Gorge is undeniably gorge-ous (sorry, had to!) - so unbelievably beautiful, in fact, that it looks more like a painting than a real-life place. And yet, this stunning 75-mile-long canyon at the foothills of Mount Hood and on the border between Washington and Oregon is very much real, and it's the perfect spot to spend a weekend away from Seattle. 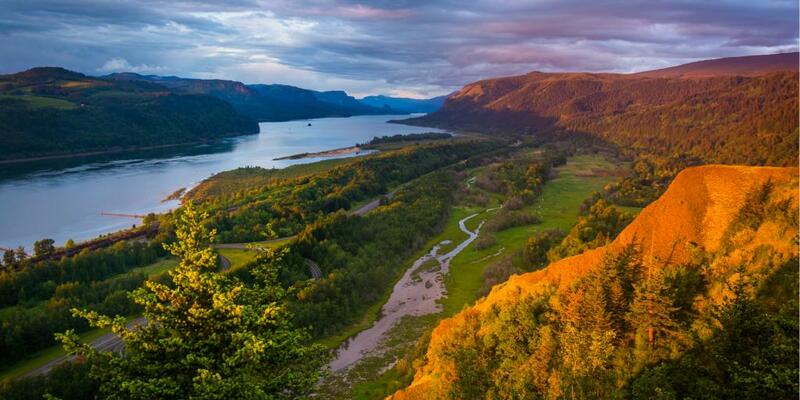 Walk in the footsteps of America's original explorers Lewis and Clark by hiking along the gorge's trails, admiring the views from its many vistas, and gawking at its 70+ waterfalls. If you're into water sports, you can also make a stop at Hood River - the windsurfing capital of the world. Not only is the scenery beautiful in Columbia River Gorge, but it's also got an unbeatable culinary reputation, with farm-fresh dining and local wines at its heart. To get the most out of your weekend, spend the night at one of the cosy hotels on the waterfront, like the lovely Columbia Cliff Villas Hotel. Some of the suites there have their own kitchens, in case you feel like eating in and enjoying the views. Hop from one city to another with a trip to Vancouver, one of the most vibrant and exciting destinations in Canada. Thanks to its diverse population, top-notch food scene, incredibly picturesque setting and countless other factors, Vancouver is consistently ranked one of the world's most liveable cities. If you've got a weekend to spend in Vancouver, you can go shopping on Robson Street, sample the local fare at one of Vancouver's trendy restaurants, take in a show at the Orpheum Theatre, and sip on a cocktail at one of the cool lounges in Yaletown. Other highlights include hiking the 10-kilometre Seawall around the city and getting lost in the 1,000-acre Stanley Park, which was ranked by TripAdvisor as the #1 public park in the world. There's also a healthy variety of fascinating museums in the city including the aesthetically stunning Museum of Anthropology, the unique Vancouver Police Museum, and the Museum of Vancouver, which charts the history of the region. Wine connoisseurs and nature lovers alike will delight in Whidbey Island, a picturesque glacier-formed stretch of land in the middle of Puget Sound. To get there, head to the Mukilteo Ferry Terminal 30 minutes north of Seattle and hop on a boat to the island. The first stop on your Whidbey Island adventure should be Langley, a charming seaside village filled with little independent shops, cute cafes and an informative whale centre where they'll tell you all about the different species you can spot just off the shore. You can also sample some local grape varietals at one of the wineries in town - Spoiled Dog is a firm favourite! For more of the same small seaside town charm, continue onto Coupeville in the north part of the island. Here you'll find lovely little restaurants serving up fresher-than-fresh seafood like juicy mussels and salty oysters. And if you happen to be visiting in the summer, be sure to scoop up some local products at the Coupeville Farmers Market, which runs every Saturday from April through October. The water in Diablo Lake is so intensely turquoise, it almost looks fake. In reality, the water's eye-catching hue is probably caused by the surrounding glaciers, which grind rocks into a fine powder called glacial flour that settles on the surface, affecting its colour. However it got that way, there's no denying that the lake makes for a spectacular selfie backdrop, which is just one of many reasons to include Diablo Lake on your road trip from Seattle. 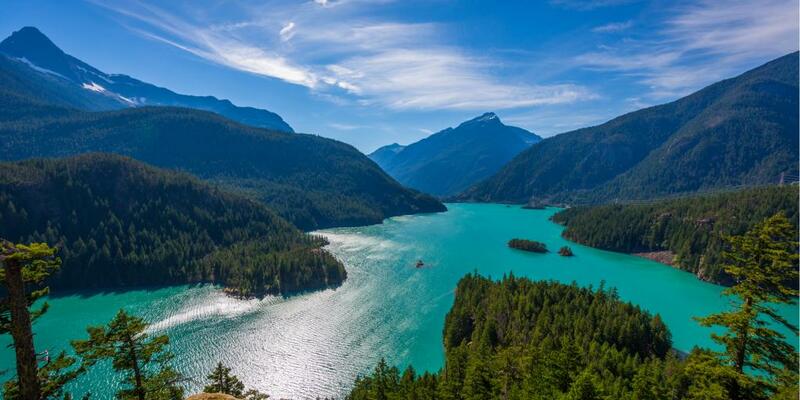 Diablo sits in the upper part of the North Cascades National Park, a massive wilderness of peaks, glaciers and forests, with nothing around but wildlife and a few backpacking trails. It's one of the highlights on a trip to the park, as is a stop at the nearby snake-shaped Lake Chelan. While not quite as bright as Diablo, what Lake Chelan lacks in colour it more than makes up for in entertainment, with tons of water sports on offer including jet skiing, kayaking, scuba diving and swimming. At the southeast tip of the lake is the sweet city of Chelan, home to a handful of charming restaurants and lovely lakeside hotels. If you're after a slow-paced getaway from Seattle, this is a great shout. It may not be 'The World's Longest Beach,' as is proclaimed on an archway leading into the town, but with 28 miles of sand and waves, Long Beach certainly does live up to its name. This lovely community southwest of Seattle is a classic destination on the Highway 101 route, which runs all along the west coast of the U.S. 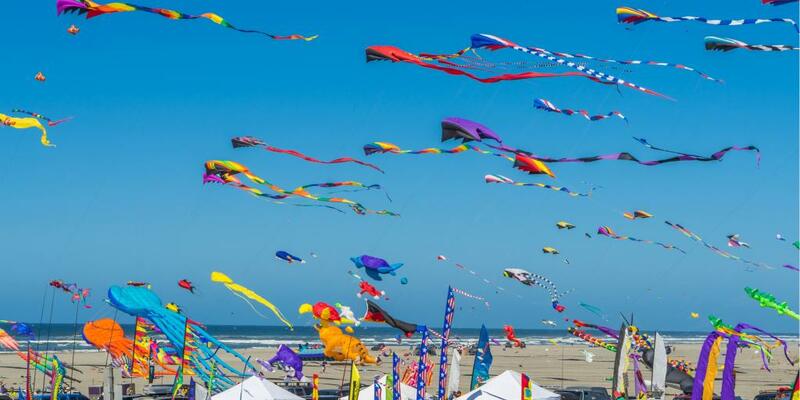 It's also the site of the week-long Washington State International Kite Festival, which takes place every August, bringing in tens of thousands of spectators. If you're planning a road trip in August, it's definitely worth timing your trip to coincide with this jaw-dropping event, which is quite the sight to behold. Even if you're not into kite-flying, there's plenty to do in Long Beach. To get seemingly infinite views of the coastline, hike up to Bell's View in Cape Disappointment State Park. You can also get stuck into the beach lifestyle by strolling along the boardwalk with an ice cream cone at hand. Another thing that sets Long Beach apart is that the beach itself is actually an official state highway, which means you can drive on it; but do so at your own risk! If it's your first time driving on a beach, be sure to adhere to the 25mph speed limit, and stay on the wet or damp sand rather than areas where it's completely dry. Not only will it take you at least a day and a half to reach Yellowstone from Seattle, but you'll also want to spend a few days seeing all that this 3,500-square-mile park has to offer. To give you an idea of its sheer size, Yellowstone National Park is 2.2million acres, which is larger than the states of Delaware and Rhode Island combined. That's why we suggest taking at least a week (if not more) to do a road trip to and around this fantastic example of natural beauty. On your way from Seattle, stop halfway in Missoula, Montana, to experience the true meaning of mountain living. This surprisingly artsy town sits in the middle of the Rockies, where moose wander freely and bears can often be spotted in local parks. While you're there, pop into the Missoula Art Museum to see works from indigenous artists, and grab a drink at Montgomery Distillery, which serves up original cocktails and tasty single-malts. Once you're in Yellowstone, there are a few highlights that you cannot miss, including walking along the Upper Geyser Basin and watching the iconic Old Faithful geyser erupt. The otherworldly Mammoth Hot Springs, which sort of resembles a lunar landscape, should also be on your itinerary. With a rich history, a calendar full of lively cultural events, and more than 100 wineries, this area is like Washington state's very own Napa Valley. Syrah is the top dog here, but if you're more partial to Merlot or Cabernet you'll find plenty of excellent wine tours and tastings in the area. Cider and beer drinkers can also get their fill at the numerous breweries and cideries in town. When you're bored of drinking, head into Walla Walla city to take advantage of the charming shops, attractions and restaurants - like the Wall Walla Farmers Market (open every Saturday morning) and the scenic Pioneer Park. An added bonus to Walla Walla is that it's the site of Whitman College, which means there's a lively and energetic student population that keeps the city youthful. If you do take a road trip here and end up staying a while, spend an evening at the locally beloved Gesa Power House Theatre, which hosts top-notch musical, comedy and dramatic performances on a nightly basis. Roaring rivers, dramatic mountain peaks, the world's only inland cedar rain forest… These are just some of the reasons to go on a road trip to the spectacular Glacier National Park in Montana. Known as the 'Crown of the Continent' due to its prominent position at the tippety top of the States, there really is something regal about this simultaneously pristine and rugged park. Perhaps the best-known element of Glacier National Park is Going-to-the-Sun Road, a fantastically scenic mountain road that cuts right through the middle, crossing the continental divide through Logan Pass at an elevation of more than 6,500 feet. On your way to Glacier National Park you can stop in Ellensburg, Coeur d'Alene (see below) or Flathead Lake, the largest natural freshwater lake by surface area west of the Mississippi River. Yet another lakeside retreat not far from Seattle is the lovely Coeur d'Alene, pronounced in American as core-duh-lane. This little city on Lake Coeur is the perfect blend of small town charm and rugged nature, with luxury hotels sitting alongside rustic lodges and cosy campsites. Whatever time of year you're doing your road trip, Coeur d'Alene will be a fun and happening destination. In the summer the area is a natural playground, with cycling, golfing, fishing, hiking, wildlife-spotting and paddle-boarding on the lake all popular activities. And if you visit in wintertime, you'll be dazzled by the twinkling Christmas lights and decorations that adorn the city (it's one of the biggest holiday displays in the country). According to legendary broadcaster Barbara Walters, Coeur d'Alene is 'a little slice of Heaven,' and as we all know, Barbara is never wrong. To blend in with the locals, refer to it as the 'Lake City' or abbreviate it to CDA, its initials. A detour to see the scenic Snoqualmie Pass and a walk around the lovely city of Chelan won't add too much extra time either. Now this is a proper road trip! Totalling about 13 hours' driving time (plus a couple more, if you take the coastal route the whole way), a trip from Seattle to Mendocino will take you through some of the prettiest and most scenic spots in the Pacific Northwest. 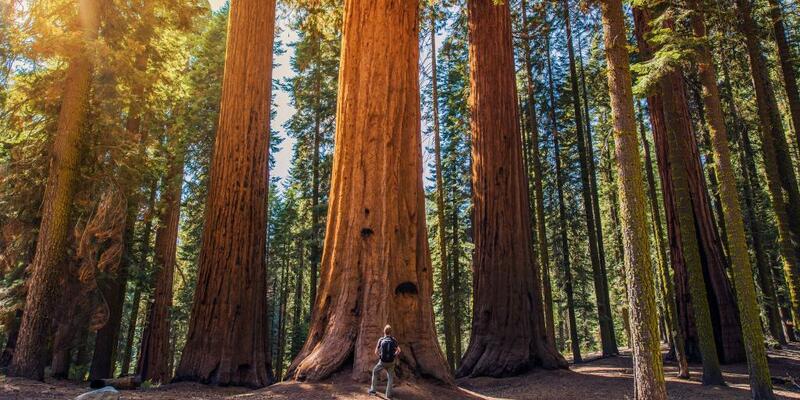 Most notably, you'll be passing through some incredibly magical redwood forests, home to ancient trees reaching up to 300 feet tall. The Redwood National and State Parks, which are about 9 hours south of Seattle, are a great place to stop and get out for a walk in nature. If you want to venture a little bit inland, take advantage of the wild beauty of Crater Lake National Park, in the southern part of Oregon. Coos Bay and Newport are just some of the other awesome coastal towns to visit in Oregon on your way south. Once you reach Mendocino, that's when the real fun begins. This enchanted coastal hamlet is famous for its impossibly stunning cliff-side trails, sprawling parks, world-class restaurants and alluringly tranquil charm. For a truly memorable holiday, make yourself at home in one of the luxurious resorts by the sea. Complete the experience with a visit to one of Mendocino's many spas for a massage or other relaxing treatment. You could also get into the bohemian California spirit by pitching up at a farm stay, where you'll be treated to fresh milk and produce grown right there on the property. Most people decide to fly it, but the journey from Seattle to Lake Tahoe by car is epic and awesome - especially if you love driving. Sure, it will take you at least 12 hours one-way, but there are so many things to see and do along the way that it will feel like no time at all has passed by the time you reach the lake. The majestic Mount Hood is en route, about four hours into the drive - the perfect time for a mid-morning hike and picnic lunch. Another option is to drive south from Seattle for six hours until stopping in Bend, Oregon, for a break. This underrated city is famous for its craft beer and coffee scene, as well as its stunning scenery (think roaring rivers, serene deserts, and awe-inspiring mountains). You can get out here to breathe in the fresh mountain air and sip on a coffee, or book a room at one of the peaceful inns in town for the night before driving on the next day. If you can, though, we suggest driving all the way to Mt Shasta on day 1 (8.5 hours) so that you only have 4 to 5 hours of driving left on day 2. Watching the dawn break on the mountain in the morning will give you all the motivation you need to carry on to Lake Tahoe.